Sunday 16 June 2019 Doors 6:30pm. But what if music loves you? Looking back - and forward - at The Black Dog, that's the feeling you get: The beauty, and sophistication, of The Black Dog's work doesn't come from their being music lovers who are really good at making tracks. It comes from music itself loving them, making them an outlet for itself. That's why The Black Dog don't play industry games. They don't need to. The Black Dog are universally respected, not least for their classic Bytes, Spanners and Radio Scarecrow albums, which literally created new fields of music. With new personnel added to the line up, we now see output that is stronger and darker. They form new links in the chain of ideas and rhythm between dance music and older forms. The Black Dog's innovation is grounded in previous generations of artists and musicians, to the beats, the Bohemians, and further back. Yet their music appeals to a huge spectrum of people. 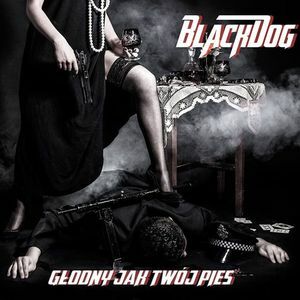 Famously reticent of the press and other apparatus of the industry, The Black Dog on record evoke a curious bitter sweetness, at once tender and distant, while delivering incredible rhythmic inventiveness. Some call it „intelligent", and it is, but the word denies the music's visceral, overpowering sensuousness.